When planning for the future, the only thing you know for certain is that the future is uncertain. Tools that help organizations to focus on priorities in a future full of risks and possibilities can be highly valuable when shaping an organization’s future. At Nexight, we provide strategic analysis and roadmapping services that can help navigate such planning challenges, but these processes can often take more time and resources than an organization has available. That’s why we also offer SWOT (Strengths, Weaknesses, Opportunities, and Threats) analysis—a tool that can help jumpstart strategic planning in as little as a single day. 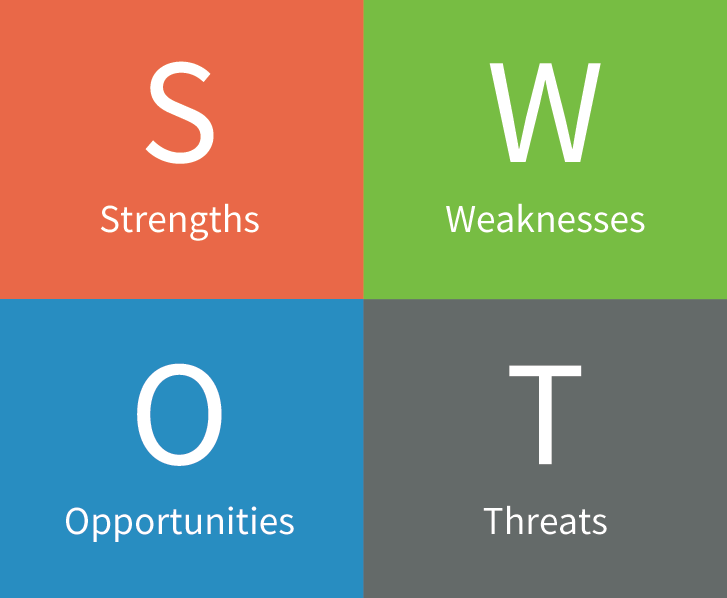 By helping stakeholders identify and weigh their strengths, opportunities they may capture, their weaknesses, and both internal and external threats, SWOT analyses increase the likelihood that an organization will build a plan that achieves its goals. While working at Stanford University in the 1960s, Albert S. Humphrey originated the SWOT analysis as a way to frame strategic planning. Since that time, SWOT analysis has gained widespread acceptance as a planning tool that can be used to quickly launch an organization’s strategic planning efforts while also engaging key stakeholders in the process. 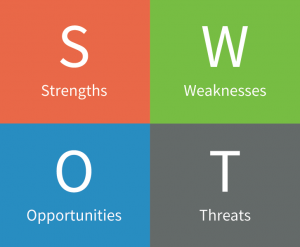 SWOT analysis is so effective because it forces an organization to carefully assess and challenge its existing vision, mission, and goals from both an internal and external perspective. This process produces a tangible plan of action designed to capture new opportunities, build on strengths, and address weaknesses and threats. I’ve seen the process work first hand while at Alcoa, helping to shape our strategy in Europe and North America for Alcoa’s global ingot technology network. Through the use of this tried-and-true tool, our clients are able to quickly agree on actions, drive change, and ultimately strengthen their organizations. To learn more about how Nexight’s SWOT analysis services could benefit your organization, please contact Ross Brindle or Greg Hildeman.